Cloud communications provider Solar Communications has acquired TWL for an undisclosed sum. The deal for the 90-strong company - which has offices in Chippenham, Harlow and Salford - will "significantly strengthen" its share of the business communications marketplace. It follows its acquisitions of Denwa and Response Data Communications last year. Solar has previously been recognised by the Sunday Times Tech Track 100, Deloitte’s Technology Fast 500 and the London Stock Exchange’s ‘1000 Companies to Inspire Britain’. Solar is a leading provider of UCaaS and has recently launched its own Skype for Business offering that bridges the gap between Microsoft Office 365 and enterprise grade telephony systems. Andrew Nicholson, the founder and MD of TWL, will remain with the business following the acquisition. 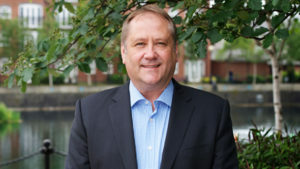 John Whitty, CEO of Solar Communications, said: “TWL is a proven service-focused business with a very strong reputation in serving SMB and mid-market business customers, especially in South Wales. The addition of Solar’s Disruptive Technologies will further enhance this position." Solar works with more than 2,000 organisations across a variety of sectors, including finance, legal, education, manufacturing, healthcare, not for profit and professional services. Last year it reported a revenue of £14.8m.